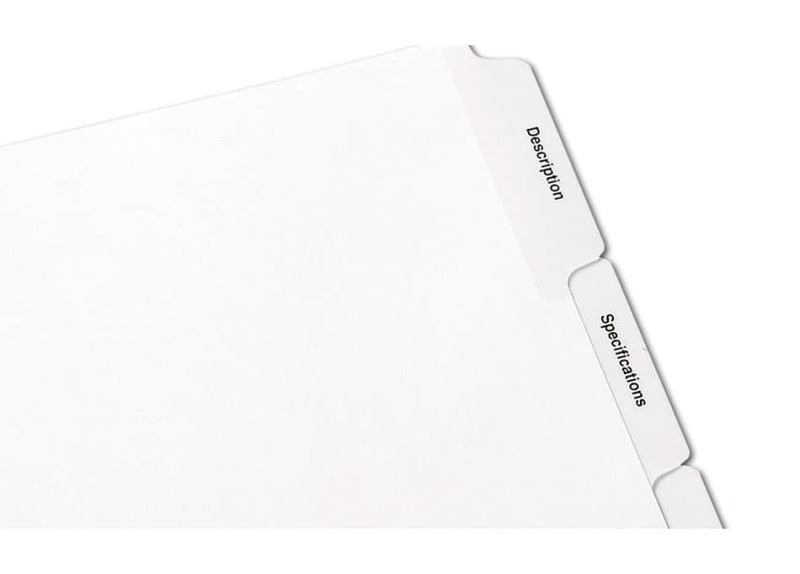 Even at those times when a simple white index stock is all you need, make sure the tabs look professional. 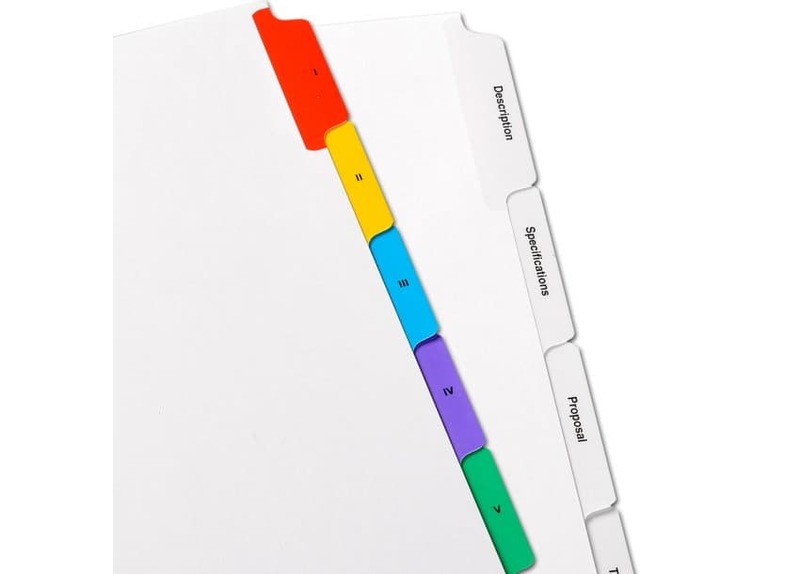 Let us print what you want on your tabs in one of 2 styles, in 1/4 or 1/5 configuration. The perfect solution to standardize company documents or to make your company specific documents easy to navigate. 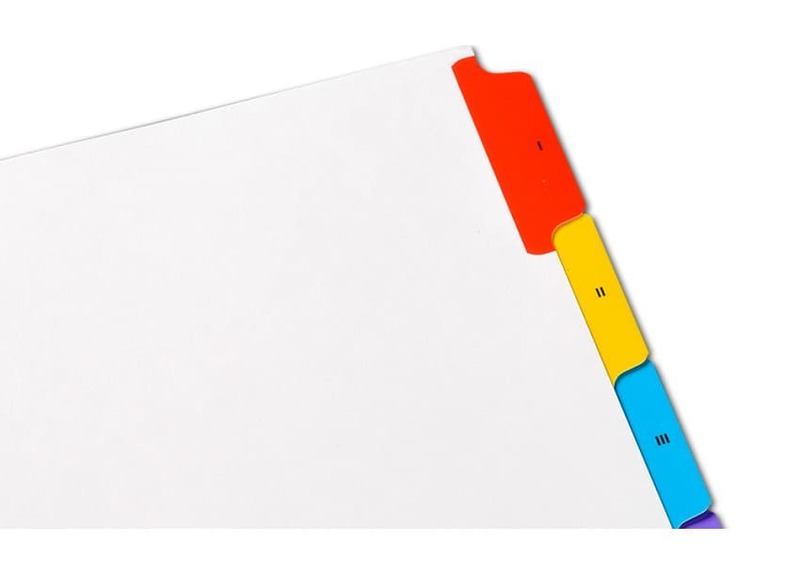 Do you really want to risk your presentation to self printed index tabs? 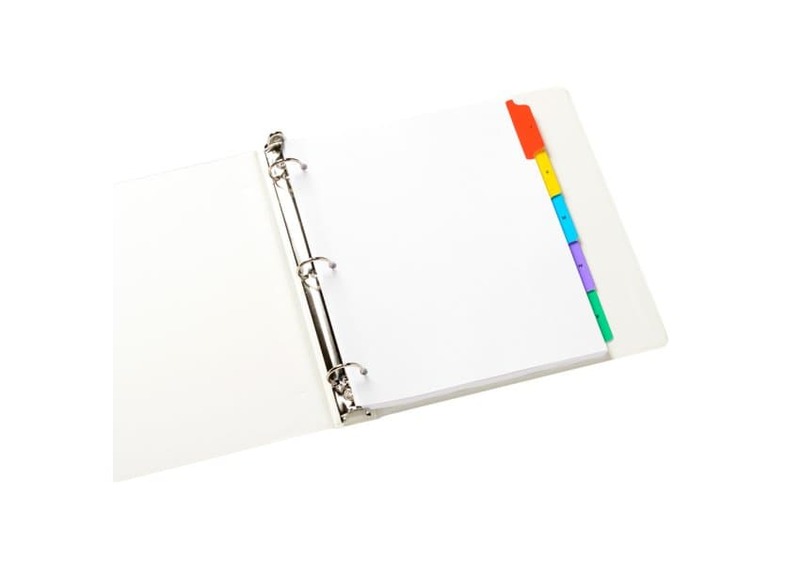 Choose from clear or colored Mylar tabs in quantities from 250 to 1000 sets.